Here in Colorado for a business meeting? Or just looking for things to do in Denver? This Denver bus tour is a great way to escape the city for a few hours and visit some of Colorado's best attractions. To begin, you will depart downtown Denver, visit the Historic Larimer Square. Then you will head west into the Foothills. Your first stop will be the naturally formed world famous Red Rocks Amphitheater and Park. You will enjoy 30 to 40 minutes at the amphitheater and the visitor center. Next, take a beautiful drive through the southern part of the park. 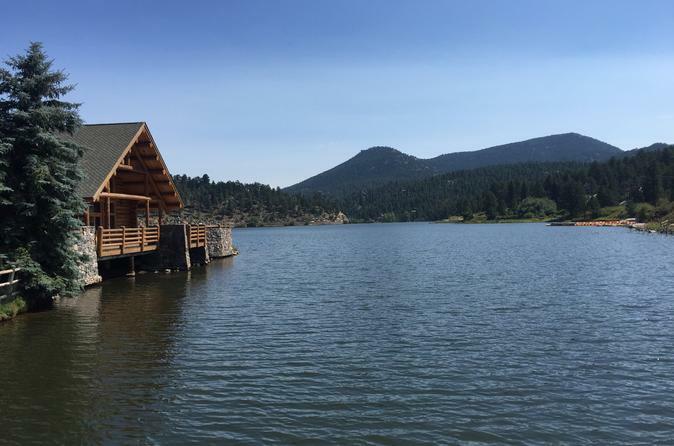 Following that you will take a scenic drive along Bear Creek Canyon into the beautiful town of Evergreen, stopping at the Evergreen Lakehouse for a photo opportunity. Then, visit the Buffalo Herd Overlook. The buffalo you will observe are direct descendants of the last wild buffalo herd left in America. After the buffalo viewing, you will climb up 7377 feet to the Peak of Lookout Mountain, where you will have the chance to take in some breathtaking views. Here, you will be able to visit the Buffalo Bill Museum and Grave for 30 minutes. Then descend into the town of Golden through the scenic and historic byway of Lariat loop. Here, you will have the option to end this scenic Colorado tour with a little stroll of this historic town.